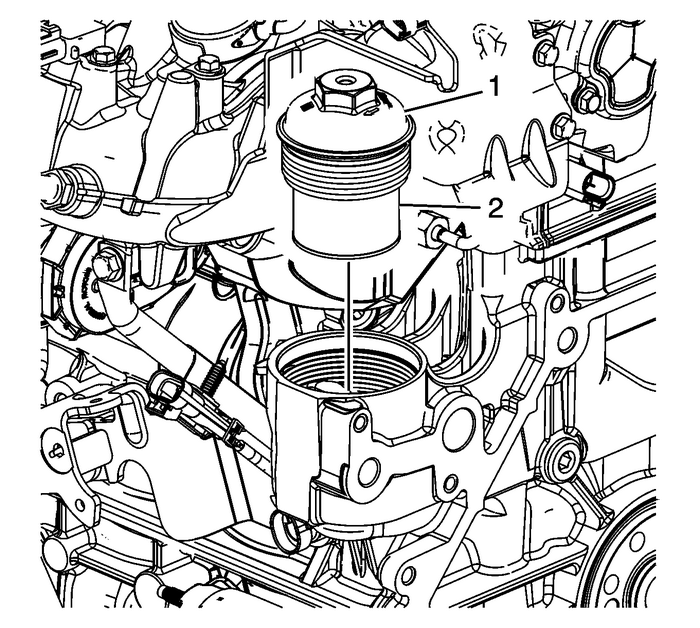 Install a new oil filter-(2) on the oil filter cap-(1).Lubricate the O-ring on the oil filter cap with 5W30 engine oil. Use EN-44887 wrench to install the oil filter cap. Tighten the oil filter cap to 25-Y (18-lb-ft).